A teenage girl, caught in the crossfire of India’s war on drug-resistant superbugs, is waging a closely watched legal battle for access to a tightly regulated new medicine that her doctor says could save her life. The father of the 18-year-old girl has filed a lawsuit to force the Indian government to lift regulatory restrictions on access to bedaquiline, an antibiotic made by Johnson & Johnson and the first new treatment for tuberculosis in almost 50 years. The suit, filed in a New Delhi court, comes up for hearing on Monday. Medical experts believe the overuse of older antibiotics in India has resulted in the country being home to one of the highest levels of drug resistant tuberculosis in the world. As a result, Prime Minister Narendra Modi’s government has strict controls over the use of bedaquiline to preserve the new treatment’s effectiveness. It’s now only available through a government program in five of India’s 29 states, and only as a last resort. Though the government has said it intends to gradually increase access for more patients, the teenage girl’s lawyer, Anand Grover from Lawyers Collective, an independent group that works on human rights advocacy, says her suit could become a precedent that forces it to act faster. In court, the lawyer for the government hospital named in the suit, Saket Sikri, has argued doctors must adhere to rules requiring that bedaquiline only be administered after a test proving there’s no other option, a precaution as much for the patient’s good as the public’s. Her doctor and lawyers argue it could take six weeks to get the results of the added tests, a delay the girl, whose weight has dropped to about 24 kilograms, cannot afford. At stake is a precedent that could help shape the world’s response to the threat of superbugs, determining what takes priority: preserving long-term efficacy of the newest drugs, or acting quickly against a deadly disease. Manisha Verma, a spokeswoman for India’s Ministry of Health and Family Welfare, did not respond to calls and emails requesting comment on the case. Lawyers representing the government couldn’t be reached for comment. The type of tuberculosis bedaquiline is meant to treat is a class of infections that are called superbugs. They’ve evolved immunity to doctors’ traditional arsenal of antibiotics. The more antibiotics that are used in a general population, the more opportunities bacteria have to gradually develop resistance to them. 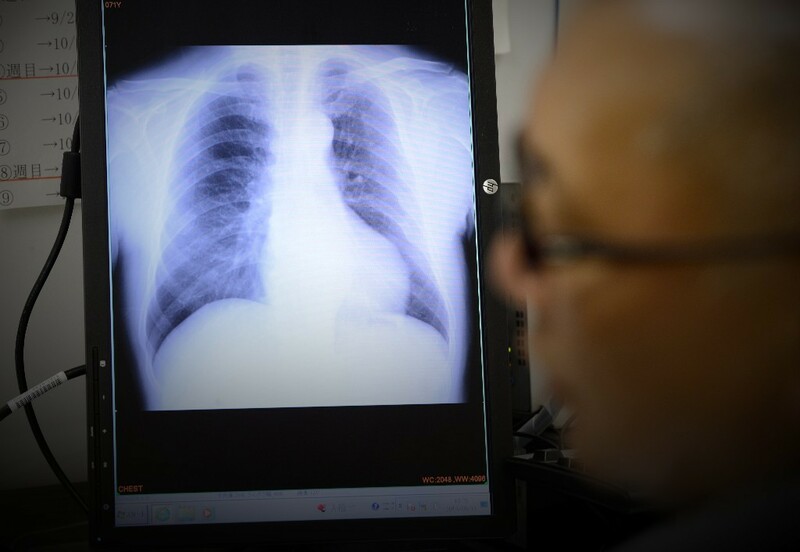 In 2015, 480,000 people around the world developed tuberculosis resistant to multiple drugs, according to the World Health Organization. Indian regulators’ approval of bedaquiline was conditioned on the government having control of its distribution in part to reduce the likelihood of the new therapy being weakened by resistance too, according to a spokeswoman for Janssen Pharmaceuticals Inc., the pharmaceutical unit of U.S. based Johnson & Johnson. The company has donated enough doses for 600 patients and more free treatment courses are available by request through a USAID program until 2019, the company said. Bedaquiline, sold by J&J with the brand name Sirturo, “is not a commercial product like an antacid, but is an example of J&J’s response to the global threat of antimicrobial resistance,” the spokeswoman, Joshina Kapoor, said in an e-mail. She would not say if there were any plans to charge for the drug in India, home to the largest number of tuberculosis patients in the world, according to the website TBFacts.org. That’s exactly the question the teenage girl’s lawsuit could hinge on. Though her family says they were initially told she could not access the drug because she was not from a state designated to administer it, in court the government has argued that to get the drug she must first undergo a new test showing she really needs it. In the hearing scheduled for Monday, which could be the case’s last, the judge has asked the government to defend that assertion. Without bedaquiline the girl’s chances of survival stand at 50 percent compared to 80 percent with it, Furin wrote in her opinion. Harvard’s Furin called the demand for the new test “a bureaucratic requirement,” given that the same type of test in 2014 already showed she had the type of tuberculosis bedaquiline is designed for, and five years of treatment with most other drugs available have all failed. Keeping patients like the one in the lawsuit sick longer increases the odds they could infect other people with the resistant bacteria, Furin wrote in her opinion. “This feeds the ongoing spread of drug resistant TB in the community,” she said in an interview.